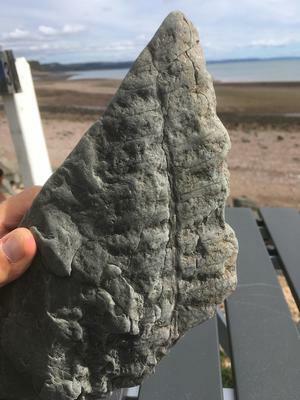 Found in shale bank on the beach. Advocate Harbor and many other areas along the Bay of Fundy are known as fossil rich places. Your specimen looks like it could be a fern fossil but lacks detail for a positive ID. 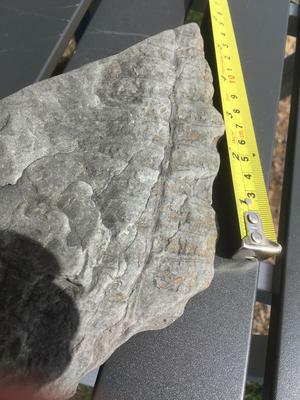 Perhaps some of our readers are more familiar with the fossils and geology of that area that they would be willing to share here.